When a friend suggested we visit Lankan Tucker, I assumed we’d be getting a traditional Sri Lankan feed (not that I’ve even had that before, I figure something like Indian – go ahead judge me!). Fast forward two weeks and we got a nice surprise when we arrived at this modern cafe on Albion Street. 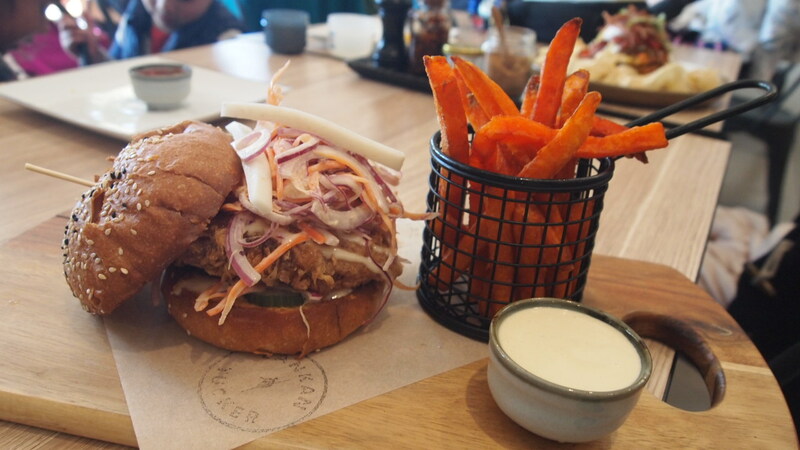 There’s really nothing traditional about this place, the fit out is modern and very much on trend, they’ve got quality coffee on the brew and the menu is a creative fusion of classic Sri Lankan cuisine and modern Melbourne brunch. It’s a unique concept in a saturated market place but they’ve pulled it off to create a foodie experience like no other. The well thought out and creative menu breathes new life into brunch staples by giving them an exotic twist. Take the classic Eggs Benedict for example, two eggs sit on top of a potato rosti and cornbread and are then topped with a fragrant orange saffron hollandaise sauce. Or my personal favourite, the seriously tasty sweet potato and corn fritters stack. 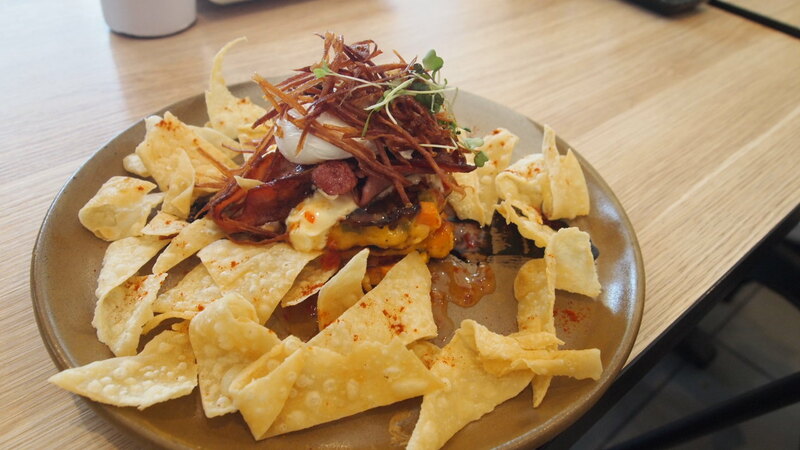 Served with sweet chilli sauce, sour cream and crispy caramelised bacon, then accompanied by fried pieces of roti bread that resemble potato chips. Words actually can’t describe how good this dish was. Packed full of flavour and texturally balanced, there is not one thing that I could criticise, just delicious. 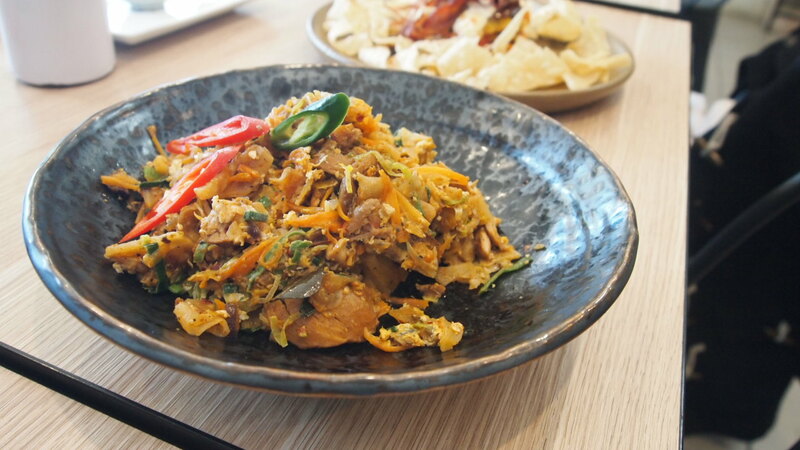 For those looking for more classic dishes, they’ve got you covered with traditional chicken Buriyani, Katthu Roti and apparently some of the best pan rolls in Melbourne (but I was too full to try them, looks like we’ve got an excuse to come back). I must also mention the friendly and super accommodating team. We visited with a couple of little kids and they gave us a bigger table so that we could spread ourselves out and as well as providing the kids with a few toys that kept them preoccupied for ages. We arrived with no expectations and left as huge fans of this quality cafe. This is definitely one to add to your brunch list. ps – Sorry you’ll have to excuse the average images. It’s near impossible to take decent pics when a child is hanging off your arm!